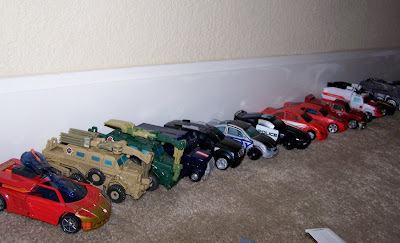 Here are some of the transformers my son is obsessed with. He just got a few more for his birthday and he wanted to count them all. He always lines up all his toys like this. I did not even capture every single one. He has over 40 and he really wants to get more. He has been earning them and getting most as presents. This is a huge bumble bee. 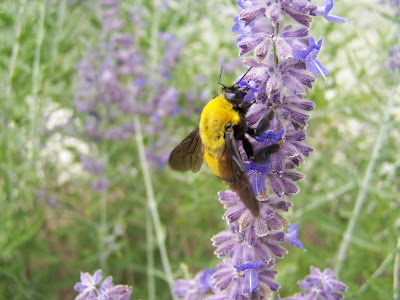 We have these sage bushes in the front yard and my kids loves watching the bees work. It smells like lavender and my daughter always says " that a huge one , he so big ! " 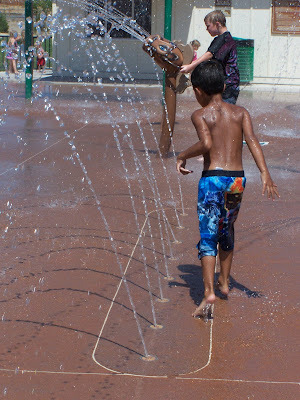 Here is Pravan at his birthday party having a great time running through the sprinklers. 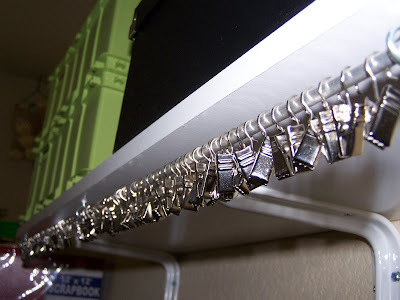 Here are some clips I purchased on ebay to help me organize my scrap room. I hope to post some pictures of that and all my goodies once they are organized. Maybe in a month or so. Thanks for looking all you lensy people. Great job! Love the cars! Those clips look most useful! 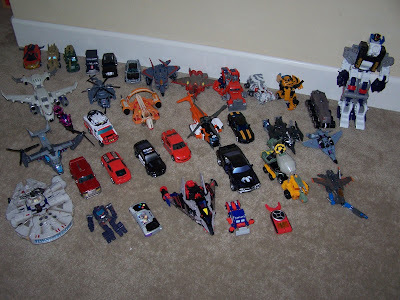 Wow that is a lot of transformers, lol...I didn't realize they had that many out there! Great line photos..like all your clips for organizing. Great job! Great line pics!! 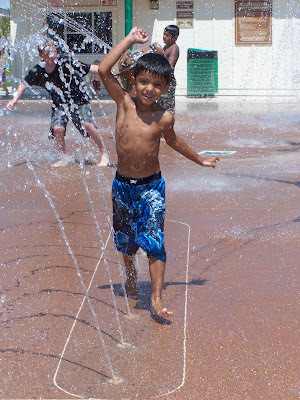 But I am ooohing over your cute kids in the Memorial Day slide show. Just adorable!! !